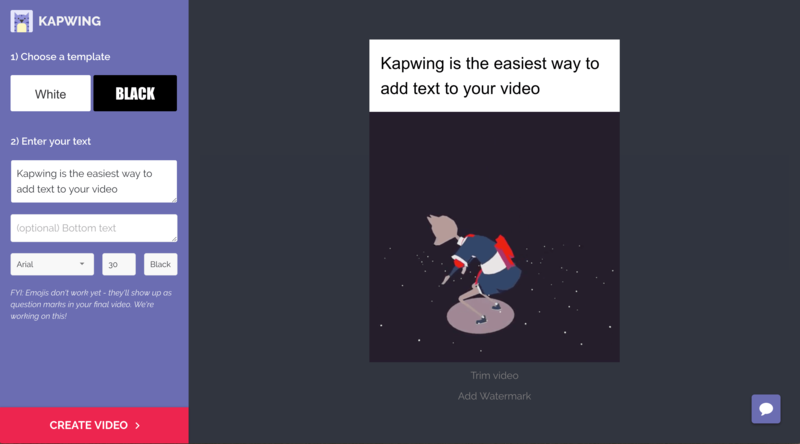 We added a paywall to Kapwing, our video editing startup, two weeks ago. But to help ease the transition, we allowed users to skip the paywall if they wrote an good reason for why they couldn’t pay. Hello, sorry I can’t really pay. I know this is a bit disappointing for you guys. I’m kind of low on money, due to paying for my education. Thus, I cannot pay THIS time. I really do love this site, and would be heartbroken if it somehow stopped working. So, if you guys want, I’m willing to make small donations whenever I can, to help you guys keep this running! We received many messages like this - some positive, some spammy, but all together it was a nice way to hear from our users. So how did it work? Right now, Kapwing is an online meme generator. 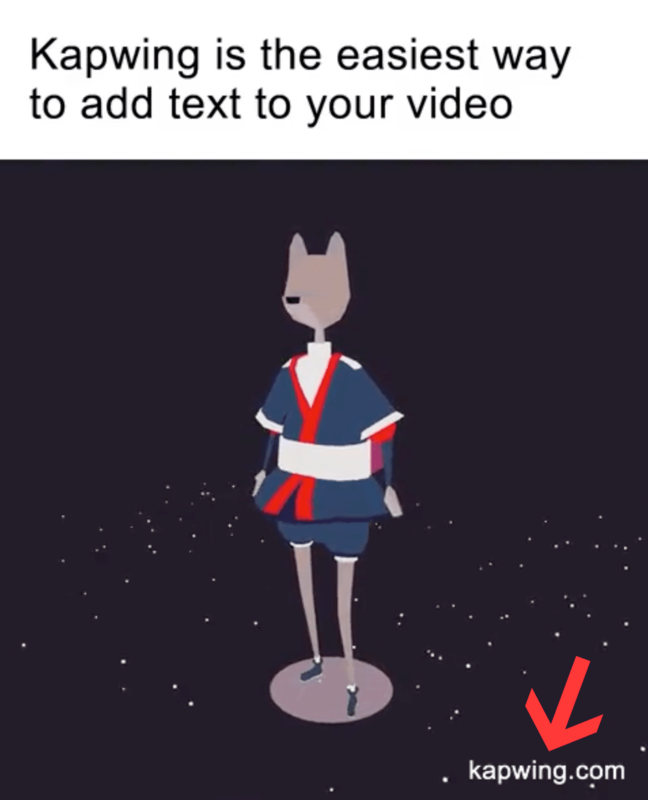 Our users can upload a video and add meme text directly to the video. 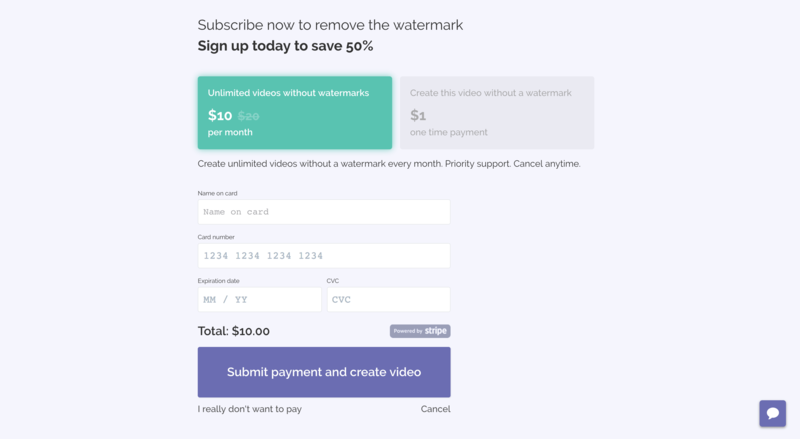 After creating the video, the user has the option of removing the watermark for a small payment. We charge $1 for a single video, and $10 / month for unlimited videos without watermarks. Users can sign up for a premium plan to remove the watermark from their videos. If users clicked the link, they landed on a page with a picture of our sad faces and the option of leaving an apology in lieu of payment. I haven’t got money. I just make memes for fun. I make these in my free time for non-profit. Sorry, but i dont want to pay for every meme. Btw I really appreciate your work. I’m losing my home.. My mom is in the hospital. And i don’t have a job. I feel bad for not paying. The problem is that I am still young and I am trying my best to save up for college. Please understand. We did also receive a few good suggestions for improvement! This is a one-time occurrence; I’m not looking to make another short video in the foreseeable future. 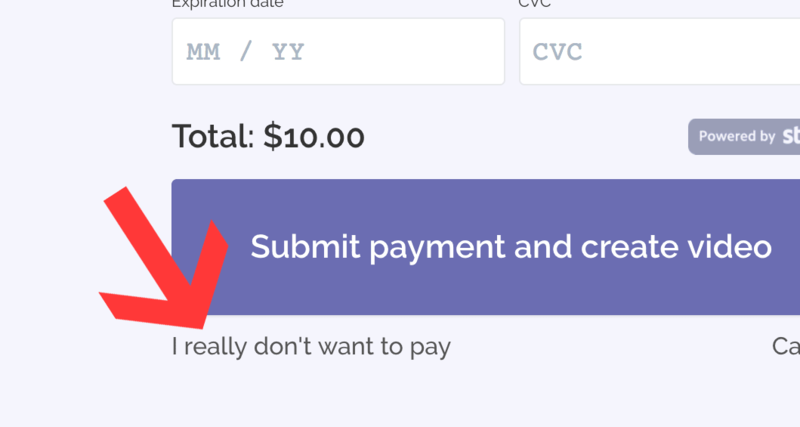 The “I can’t pay” link was a good way to ease users into a paid experience. Most users will skip if they can: Around 8% of users who could have used the apology flow converted into paying customers. 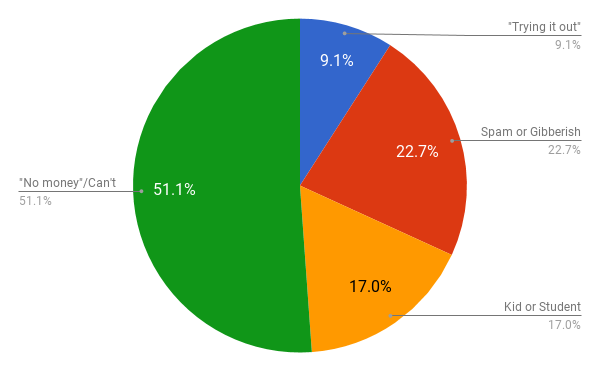 Some paying customers skipped before committing: A handful of users skipped the paywall once or twice before converting to monthly premium users. 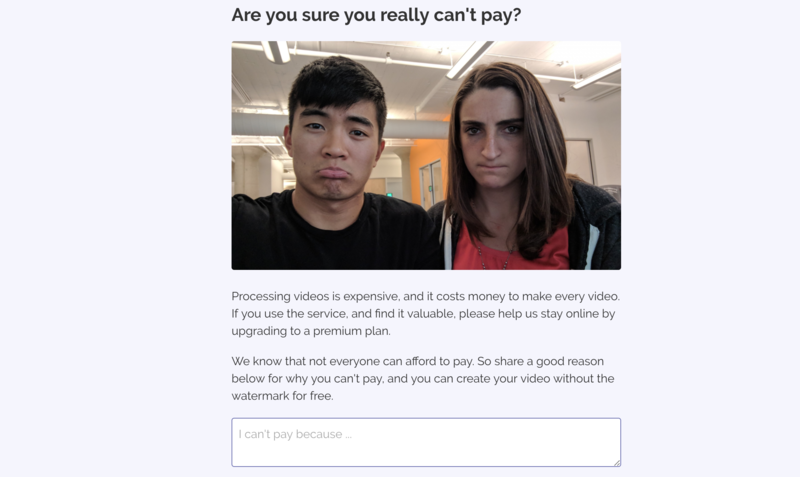 The “I can’t pay” link is a buffer for potential subscribers who want to test the service out. Conversations with users are useful: We got good product feedback from users in the apologies. It helped us identify opportunities that we hadn’t prioritized, like adding Paypal support and emojis. Thanks for reading! Stay tuned for more updates and stories as Julia and I work on growing Kapwing to ramen profitability. Aspiring entrepreneur. Basketball head. Love the outdoors.